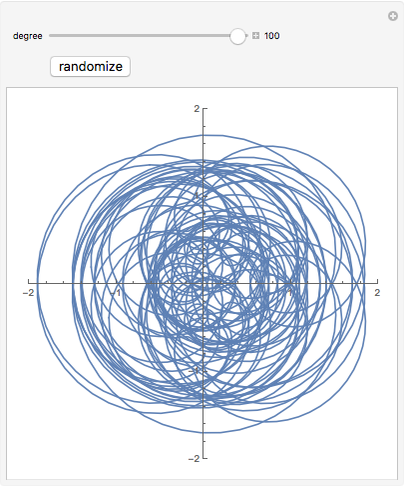 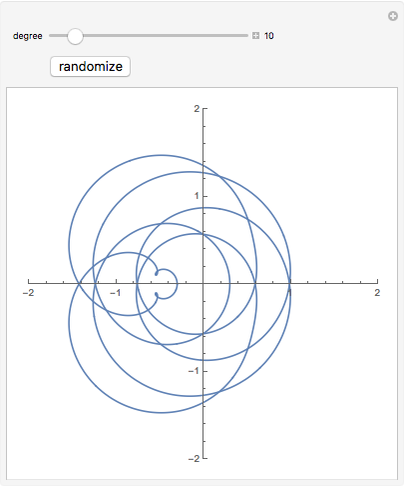 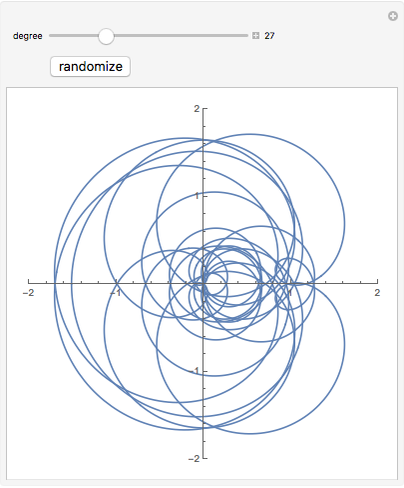 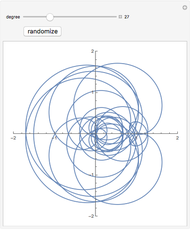 The transformation of the unit circle in the complex plane under a random polynomial whose coefficients are all 1 or -1. 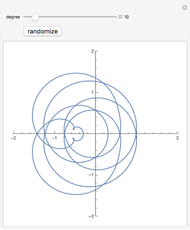 The code was originally developed by Roman E. Maeder for: R. E. Maeder, Informatik für Mathematiker und Naturwissenschaftler, Bonn: Addison-Wesley, 1993. Roman E. Maeder "Circle Images"